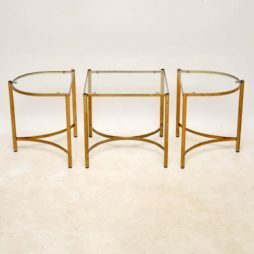 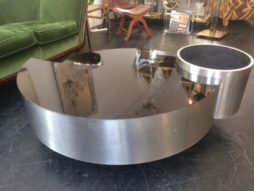 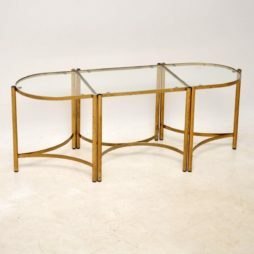 Mid-Century Coffee Tables | Interior Boutiques – Antiques for sale and mid century modern furniture, french furniture, antique lighting, retro furniture and danish furniture. 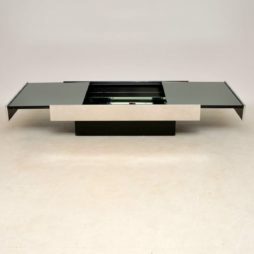 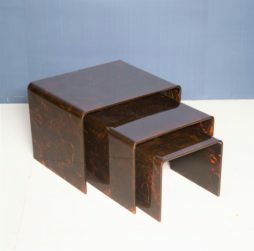 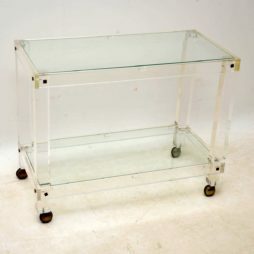 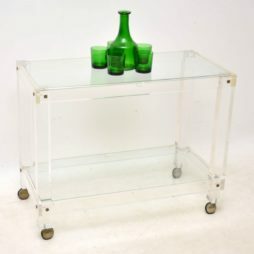 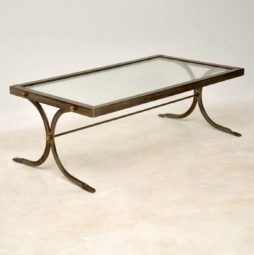 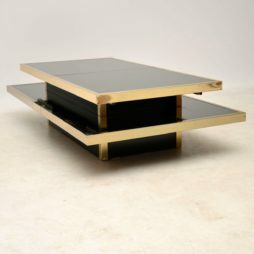 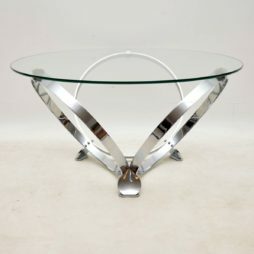 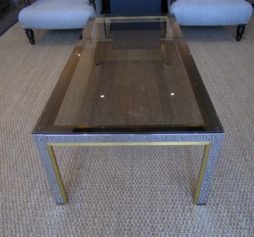 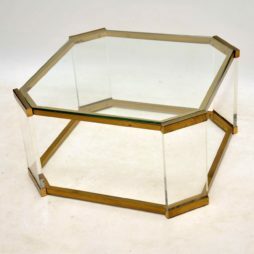 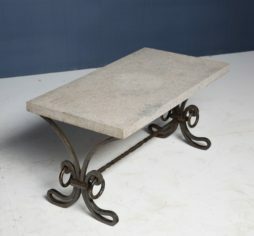 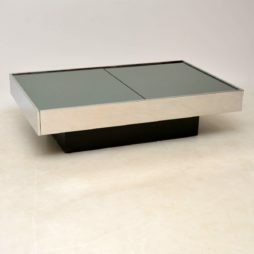 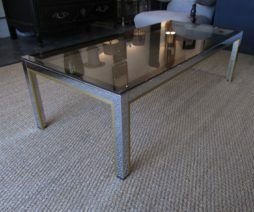 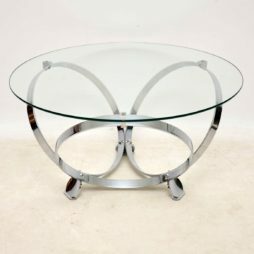 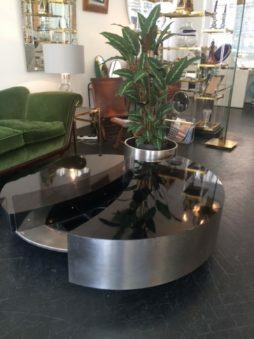 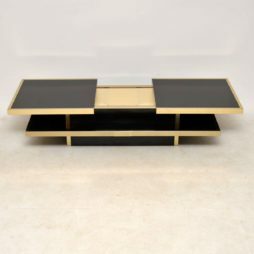 A magnificent vintage coffee table, this was made in Italy and dates from the 1970’s. 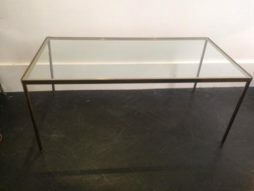 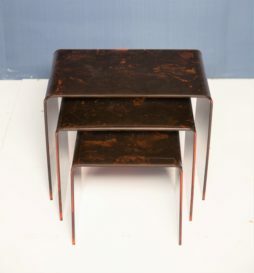 It’s very well made in black formica with a brass trim, and in great condition for its age. 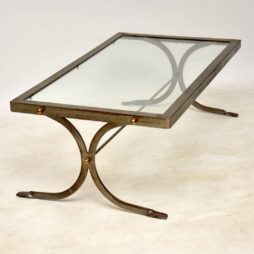 There is just some extremely minor surface wear here and there, the brass trim has one or two extremely minor dings, hardly noticeable. 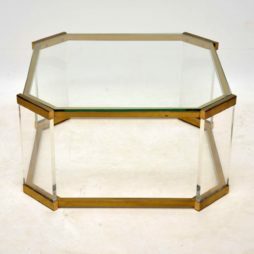 The top slides apart in the middle to reveal a useful storage space which also has a brass trim.